Regarding my previous issue (cars heavily underheats) today a made a "Lisle funnel test" and i discovered that i have an air bubble in coolant when the car is warm but one bubble every 50/60 second (so very low bubbles ratio). I have no coolant consumption but the car still underheats. Can it be a coolant seal broken or what? I have exactly the situation shown in this video with the differences that the bubbles out of my cooling system are one every 50 seconds but costant while in this video after the middle there is a huge of bubbles. Do you mean underheats or overheats? It’s common to see a little bubble every now and then. It’s when you see champagne bubbles, steam from exhaust, or hard start due to flooded chambers that’s a red flag of failed coolant seals. Try pressure testing the system and the radiator cap. A bad radiator cap can cause the coolant to push out of the reservoir and be the explanation for your vanishing coolant. Air in the system from low coolant level can cause fluctuations in coolant temp sensor readings. Thank you for your precious answer. I mean the car is heavily "UNDER-HEATING" and the idle stays at 1400rpm even when engine is warm. And engine in only warm, not hot (i can barely keep an hand on it). I think it reaches max 60/70 celsius. Temp gauge on my S5 (that i read it's not "linear" as for S4) stays at 1/3 even when engine is hot. It should stay in the middle, right? Regarding coolant bubbles: i have no smoke in exaust and the engine starts very quickly cold or hot. I have no vanishing coolant at all. I have one air bubble emerging from lisle funnel every 30/40second at idle. Do you think my coolant seal is ok? However i have to solve my high idle problem. I'm sure that the car worked well 2 months ago. Then i worked on the A/C system for regenerating it and i disassembled the air filter box for reaching the high pressure pipe under it. When i finally reassembled all the items i started the car and first thing i noticed is that the engine doesn't reach the operating temperature (UNDER-HEATING) and, second thing, it idles at 1400rpm even when warm but the engine is not hot. So do you think: high idle plus low operating temperature = stuck open thermostat? And then i discovered this little air bubble in coolant but slow and after many seconds. Have you replaced the thermostat with a mazda oem? Anything else that you've done to the cooling system? Do you get heat in the car? I have not yet replaced the thermostat, because i'm searching the oem one and it is difficult to find it in Europe (only aftermarket). I have not touched the cooling system. Only thing i have touched is the air filter box, the spark plugs and the A/C System. The only thing i have done to the cooling system is to change coolant and flush the system but i've done that 2 years ago. Car in 2 years have done only 900kilometers maximum. Can it be a coincidence that the thermostat broke (if it brokes really)? Thermostats fail all the time. Usually on rx7s they seem to fail in the open position, meaning coolant flow is not regulated properly and runs cooler than it should. I use the OEM thermostats only. Many issues have arose from not using them. I would replace your thermostat and gasket, fill and bleed the cooling system. 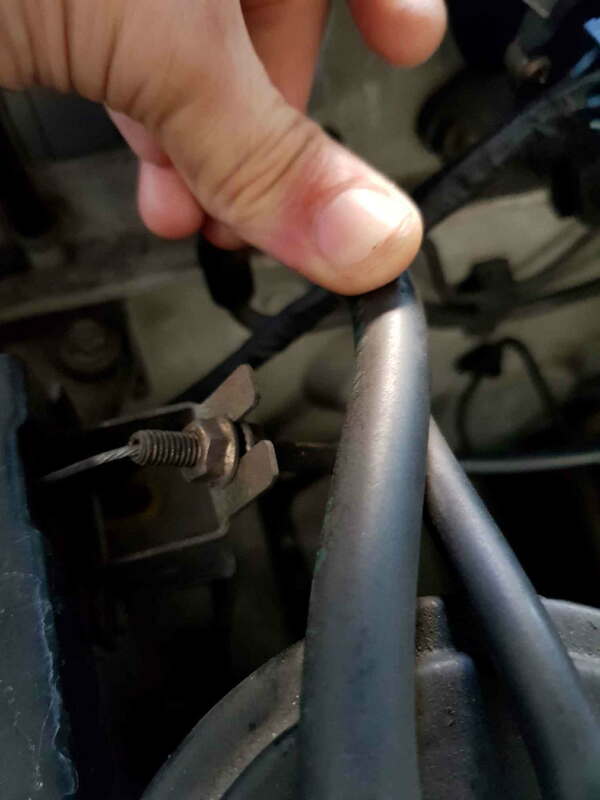 I would also check to make sure the water thermo sensor is good, that the connector is clean and tight, and that the wiring is not cracked or pinched. The water thermo sensor is threaded into the back of the water pump housing. If your idle is staying high I would check that as it detects coolant temperature and sends a signal back to the ecu for idle control. Yestarday i have refilled my A/C system with R12. It works great (8,2 celsius with outside temperature of 33 celsius). But the thing i want to share with you is that with A/C on when the car is cold it reaches the correct operating temperature very quickly. Also, with A/C compressore tuned on idle stays at 900rpm fixed. When i disengage the A/C compressor idle stays at 1000rpm and guadually goes up. Do you think it is still the thermostat my problem? With that said, I do not think the thermostat is your issue. The load from the a/c compressor is causing the lower idle. The slowly increase in idle speed could be a vacuum related issue. Have you checked and adjusted the bypass air control valve per the FSM? Have you checked for any vacuum leaks? You may want to check the thermowax for proper operation as well. As i wrote in the other thread i unmounted the air filter box and the first part of the Turbo inlet duct for accessing the high pressure pipe of the A/C system. I triple checked for any Vaacum leaks but i didn't find one. Other symptom is the the car never go into full engine temperature if the a/c system is not turned on (but it does with a/c compressor engaged). That's why i think about the thermostat. What do you think? However i ordered a new thermostat branded GATES. What is your opinion about GATES brand? Strage thing is: when the car is cold if i activate immediatly the a/c compressor it warms fast. Then when the temperature gauge is exactly in the middle and it idles at 900rpm wiith a/c engaged if i turn off the a/c idle stays at 900rpm but if i push the throttle up to 2000rpm it came back to 1400rpm. Do you still think it can be the thermostat or a vaacum leak? Or both? If you are dead set on replacing the thermostat forget the Gates brand thermostat. Use a Mazda brand thermostat and gasket ONLY! It can't hurt to replace it and go from there but it should be replaced with the correct parts. Many people have had issues with aftermarket thermostats including myself. If there is an aftermarket unit in there, get it out and replace it with a Mazda brand thermostat. I have a deep suspect of what can cause my high idle problem: when i restored A/C system obviously i removed the A/C evaporator. Doing all these things of unbolting high and low pressure pipe i think i touched the cruise control throttle cable. Is the cruise control metal support bended or i'm wrong? Do you think that this cable can cause my high idle? Thank you very much for your support, my friends! Its certainly bent. Just bend it back and see if the idle drops. Is there tension on the metal cable currently? If so does it seem excessive? 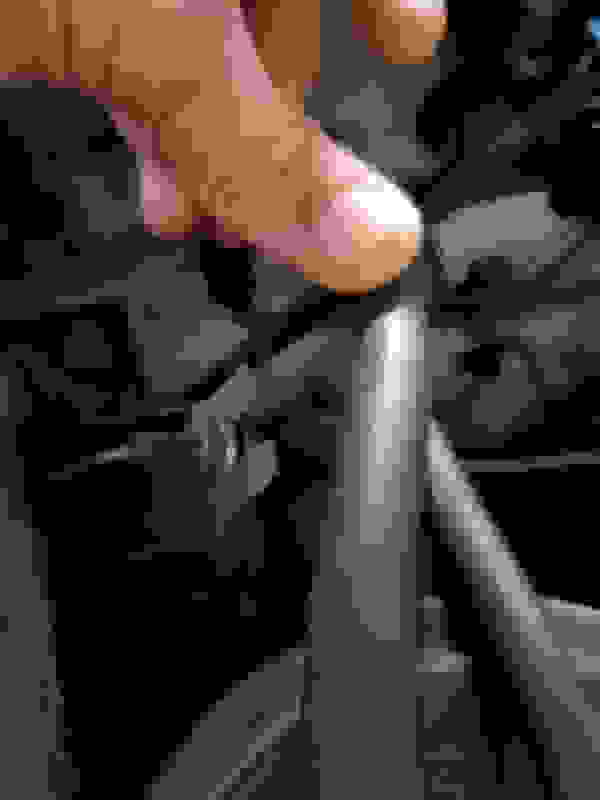 There is indeed tension into the inner cable (cable inside). I think at 90% that the high idle problem is this. I have no time now, i will test in this weekend. And what about small bubbled in coolant every 30/40seconds? Does it mean that one cooling gasket is going bad? However i have also the problem that the temp gauge remains low even when the car is hot. Perhaps i have 2 problems: high idle caused by cruis control cable too tight and stuck thermostat also. You may have a faulty coolant temp gauge as well. I had to replace my oil pressure gauge on my old 10AE as it was constantly reading low and dropping out. After replacing the oil pressure sender and checking the wiring, I came to the conclusion that the gauge was bad. Something to consider as well. It can't hurt to replace the thermostat and gasket. 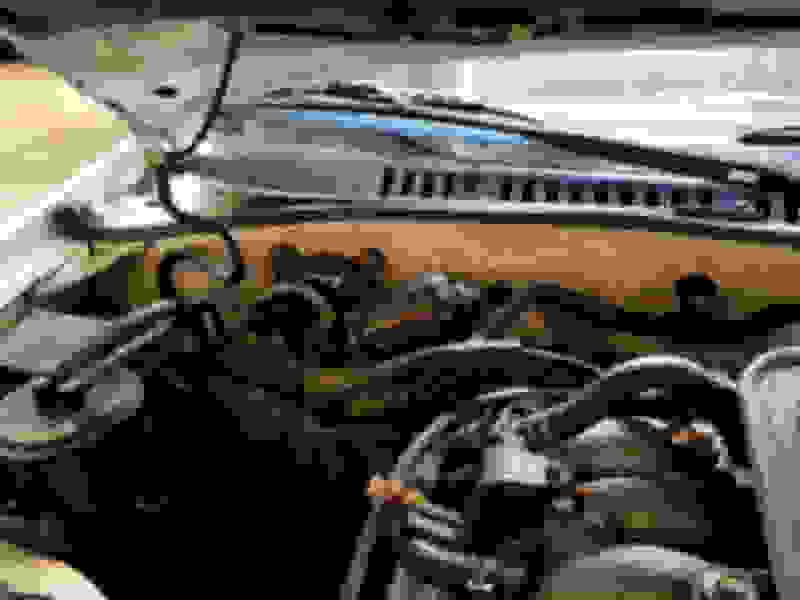 These engines should have new coolant every two years or so to avoid corrosion of the housings that will cause coolant consumption or overheating issues due to the exhaust boiling the coolant. A couple bubbles here and there are normal just not a stream of bubbles consistently. The bubbles to watch out for are Alka-Seltzer like bubbles. 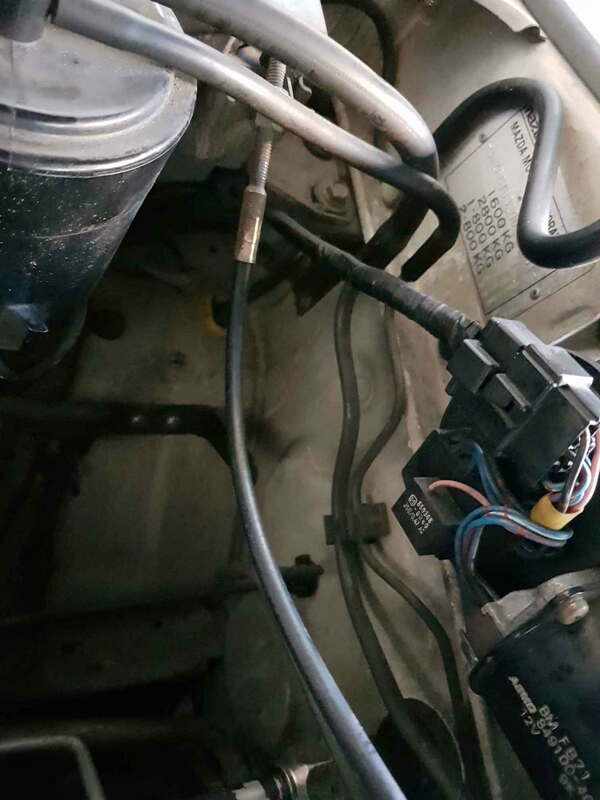 Basically if you put something under water that is pressurized and has a leak, the bubbles you will see will be constant, much like the bubbles in the coolant on an engine that has a bad coolant o-ring or corroded housing. IT WAS INDEED THE CRUISE CONTROL CABLE TOO TIGHT CAUSED BY THE BENT SUPPORT! ALSO MY TEMP GAUGE PROBLEM IS SOLVED. WITH THE PROPER IDLE NOW THE TEMP GAUGE GOES INTO CORRECT TEMPERATURE WITHIN 5 MINUTES (with 33 celsius of temperature OUTSIDE). No need to change thermostat! CAN AN HIGH IDLE AFFECT CAR WARMING TIME? Tomorrow i will change the coolant then my baby will be perfect like a showroom state! Only for knowledge: now my A/C system charged with original R12 FREON puts out 7 celsius airflow (with the fan at maximum) when the car is still in the garage, while when the car is moving temperature goes low to 4/5 celsius!!! GREAT GREAT GREAT! Last edited by Venturer; 06-22-18 at 10:41 AM. underheating problem? how long does it take to reach operating temp?